the identification of change in a timely manner. I like the idea of building an application characteristic called Application Signature. 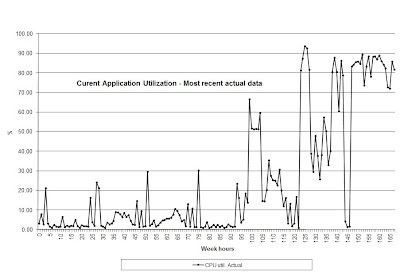 As described in the paper it is actually based on typical (standard) deviations of Capacity usage during the peak hours of a day. Looking closely to the approach I see it is similar with one I have developed for SEDS but it is a bit too simplified. 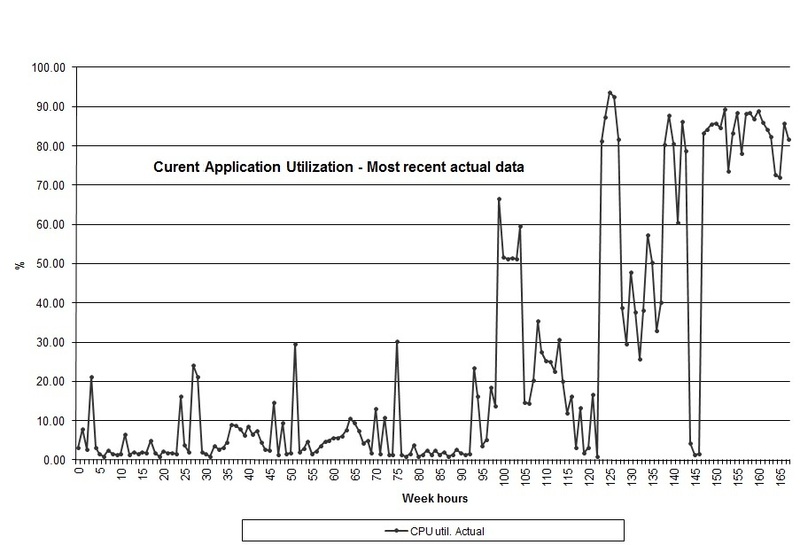 Anyway it is great attempt to use SEDS methodology to watch application capacity usage. And that diference should be automatically captured by SEDS-like system as an exceptions and calculated how much it differs from the "Signature" using EV meta metric as a weekly sum of each hour EV values or as a EV-Control Charts like showed here. 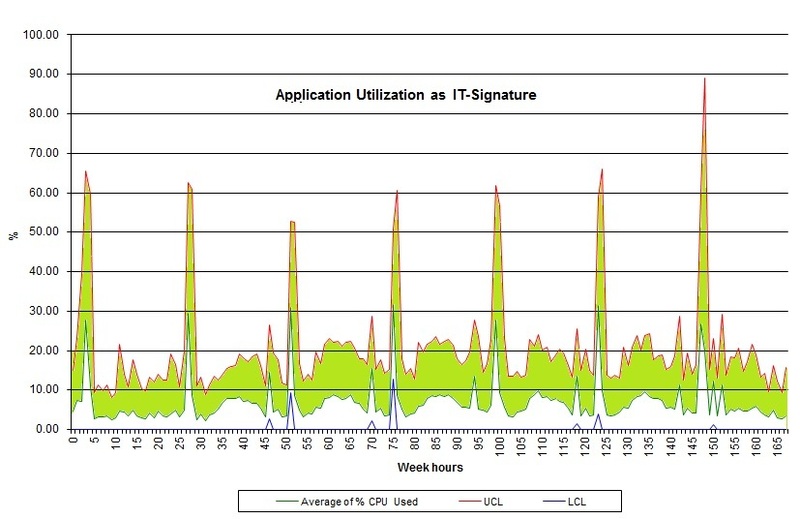 So, if weekly EV number is 0, that means the most recently the application (server or LPAR and so on) stayed within the IT-Signature, which is GOOD – no changes happend! 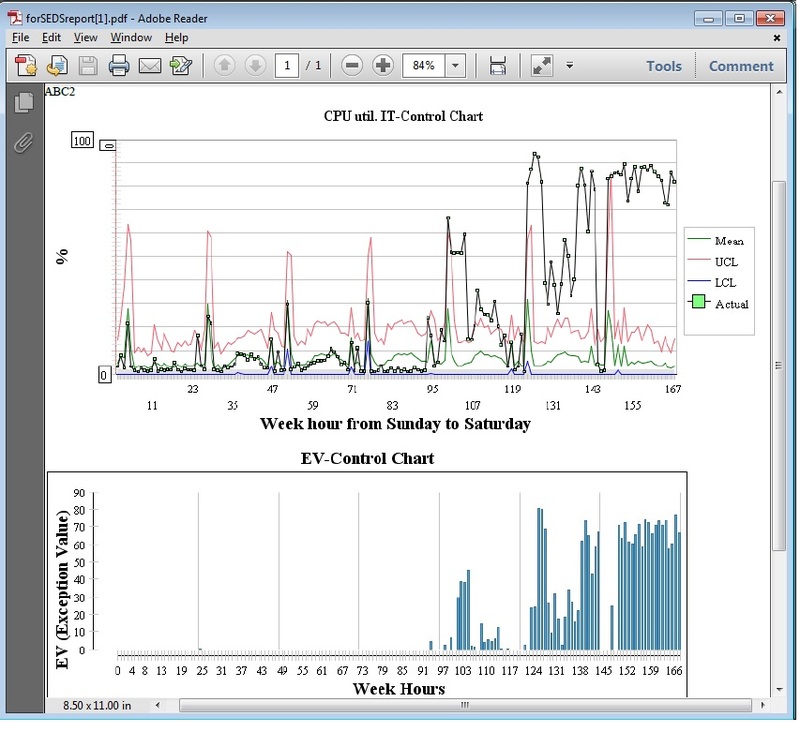 The paper also shows the “calendar view“ report that consists of set of daily control charts. It is another good idea. I used to use that approach before I switched to weekly IT- charts that cover 1/4 of a month or bi-weekly ones that cover 1/2 of a month. So if you have IT-charts there is no need for the "calendar view" that sometimes is not easy to read. Good stuff this! Look forward to reading this paper.